It's March already, but Summer isn't over yet! According to the indigenous Brambuk weather calendar, Summer isn't over until the end of March, and I tend to agree with that. 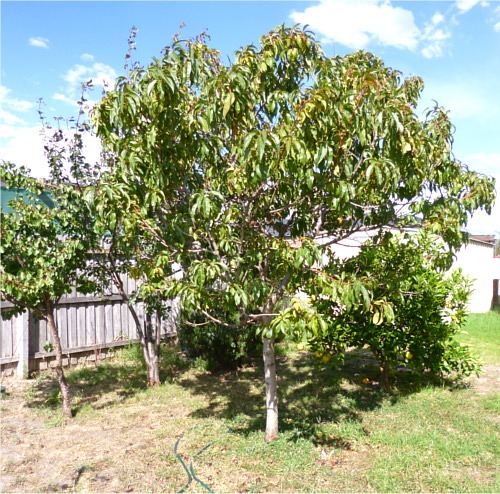 The stone fruit trees are well past fruiting, and they're starting to gear down for cold season. The leaves on the plum are starting to fall, and I'm sure the others won't be far behind. Soon it'll be time to prune them. 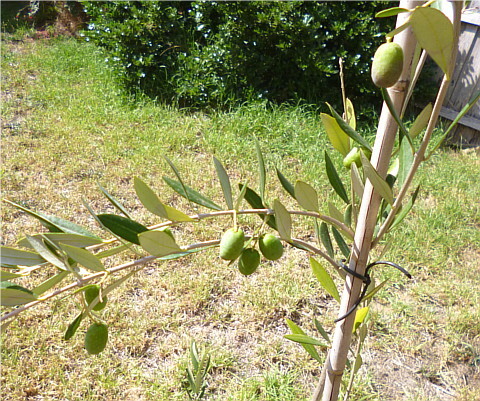 Our little olive tree, though only chin-high still, has grown some olives! I think they might be ready to pick. I'll need to do some research on how to pick and cure them. 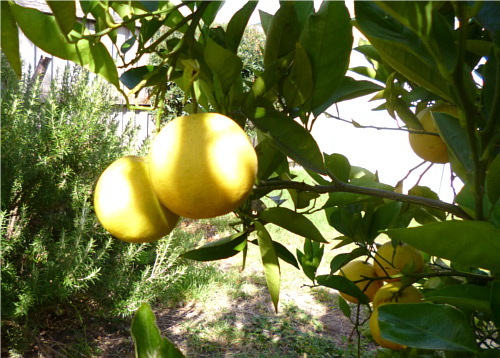 The orange tree is continuing to do its thing, with quite a few big, juicy oranges ready to pick. All through last year we watered it a lot more than before, which solved the problem of dry oranges with thick rinds. There are also quite a few half-sized ones on the tree, so we can expect lovely oranges right into Autumn. 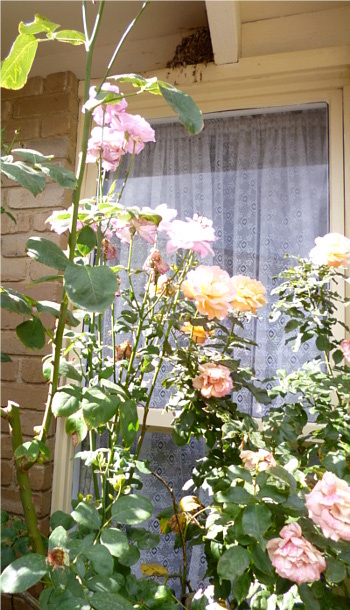 The roses are continuing to delight me, and are growing so well even though I've completely forgotten to fertilise them for months! The Hot Chocolate (second photo) seems to have the strongest perfume. Their beautiful scent carries on the hot air. In fact, my worst problem is that they're growing too big! The flowers are so high up that I can't appreciate them properly. 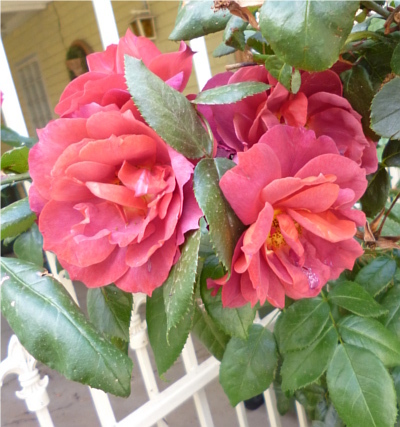 Last Winter I only pruned them fairly lightly because I was worried about overdoing it. I don't think I need to worry about that from now on. The thing you can see at the top of this photo is a bird's nest under the eave of the house. Son of Chilli Plant is going great guns as well. This is Husband's baby just as much as my own. It's grown from a seed from the original Chilli Plant which we had for years through two moves, both indoors and outdoors, until I killed it by repotting it at the wrong time. 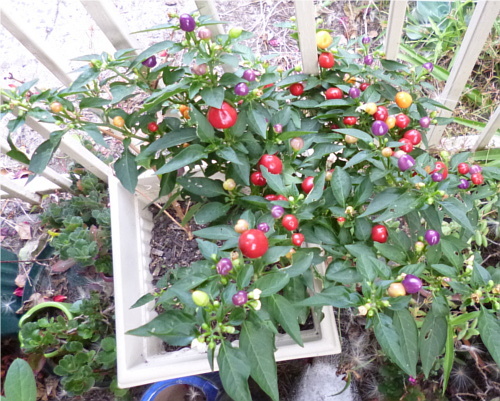 So I'm very relieved to see Son of Chilli Plant doing its thing so well. And here's my latest adventure. I planted some lettuce seeds that I got for free with my Digger's Club membership pack. I already had some potting mix and a pot hanging around, so these cost me literally nothing. 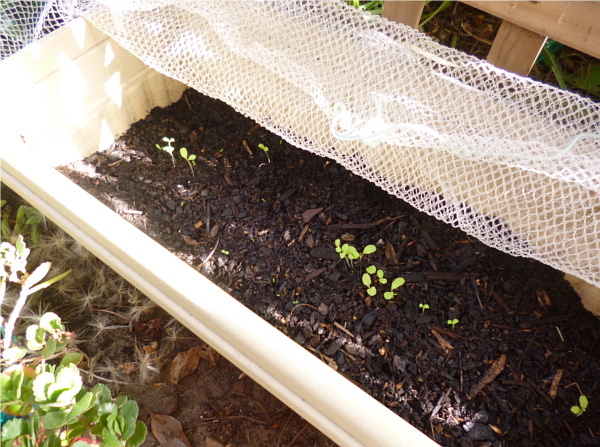 I've had to cover them with bird netting as I noticed some had been pulled out just as soon as they started sprouting. I suppose I will have to start thinning them out soon, but I'm too much of a softie! 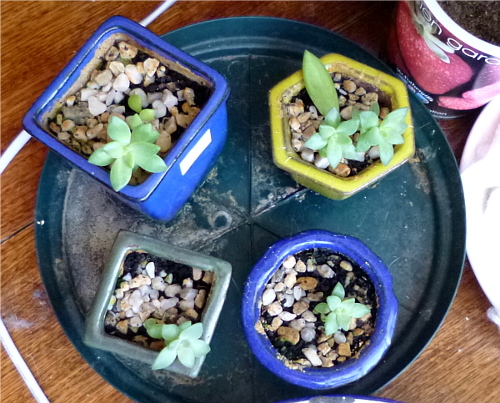 I have several little succulents growing that I potted up a few months ago. I meant to do a separate post on it, but I never got around to it. They all come from the same parent plant. 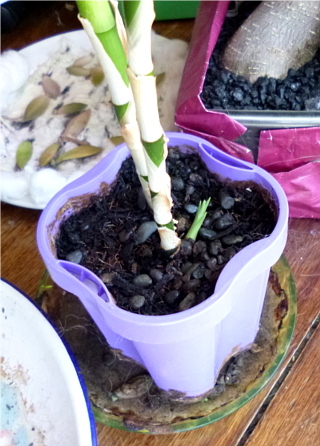 My bamboo is growing a third stem! I think its pot is getting a bit small, but I'm too scared to re-pot it after my last failures! 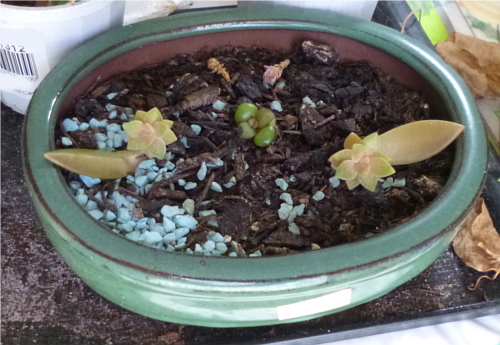 In the background you can see some more succulents I'm trying to start. I'd like to give them away to friends when they're big enough. 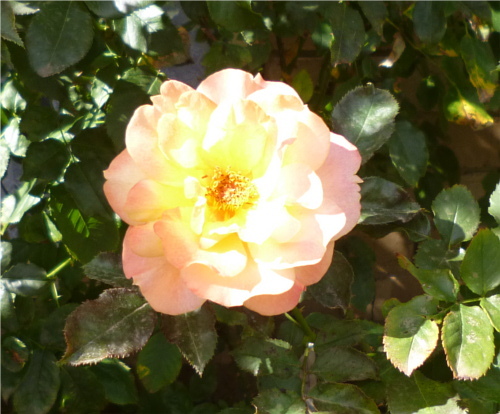 Your garden looks lovely! I'm usually quite content with my northern hemisphere climate, but right now I really wouldn't mind if I could teleport over to Australia to escape the grey weather in Germany right now for a moment. The pictures of your garden are the next best thing, though. Thank you! Sitting under the trees reading has become my favourite hobby lately, I have to admit. I wish I could visit Europe in winter, though!